A photo of my room in Bernal Heights SF. 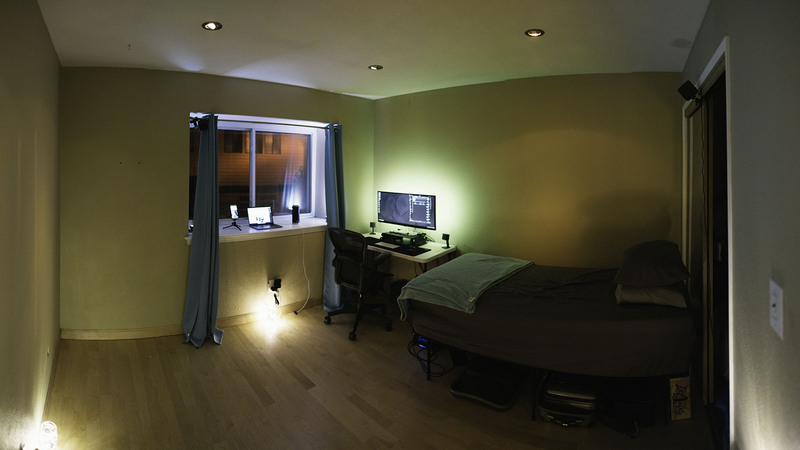 I mentioned that I live a pretty minimal life… but I wanted to take a moment to actually show you what it looks like. Pretty much everything I own is in this room, right here. If you live in San Francisco, you know that this is the norm. I’ve been doing this for about 3 years now, in exchange to build new products from the ground up and learn from the people around me. It’s kind of like college again–I live with roommates, I have a tiny little personal fridge, and I get around on my bike. There are some days I can’t believe I’m nearing 40 years old. I definitely want to get a house at some point, but I need to make sure that my overall plan aligns with Annie… so I’ve put that on hold for a minute. I’m going to continue saving up for it, and when the time is right, it’s going to be amazing. I’m really looking forward to that day. I miss having my own couch, TV, and extra room. But then again, I don’t miss having tons of stuff to worry about. For example, I miss driving around my Porsche 911… but it’s nice not having to worry about payments, insurance, personal property tax, expensive maintenance, etc. I also don’t have to worry about my other people dinging my car–yes, these were silly things that kept me up at night. Also, I don’t lose things anymore and I’m way more organized. Having less stuff and less space just forces me to keep everything folded and stowed away. But it’s probably time to make a little compromise. I think I want to get a car again… I think that I want to explore a little more beyond the city limits. Yes, it would be fun to have a nice toy for the weekends, but I think I need something a little more practical. I’m considering a SUV or something I can camp out of. I’d like to take more trips to Yosemite, Lake Tahoe, Sonoma, and all the national parks with redwood forests. I’d like dust off my fly fishing rod and give it a shot over here. And, I’d love to just drive down highway 1 just to enjoy the view and snag a couple of astrophotography shots. I’ve got a couple of cars in mind, but I’d like to get some recommendations. Anyway, more on this soon.